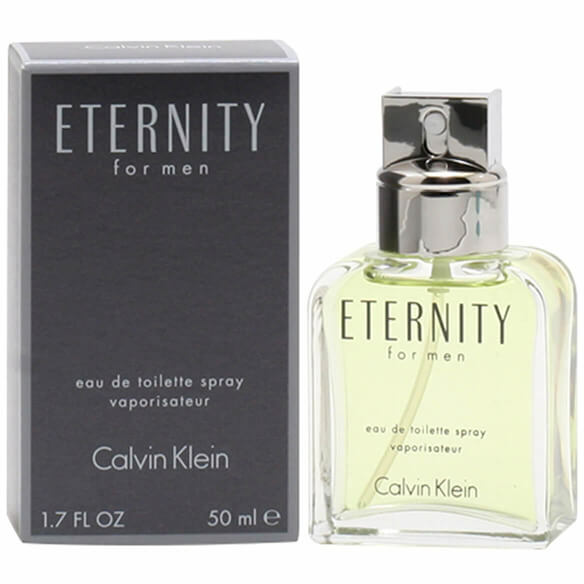 Eternity by Calvin Klein is a legend among men's cologne. This sensual men's fragrance is great for anytime use, from casual day trips to romantic nights out. When you mix the notes of lemon, juniper berry and sandalwood, you get an aromatic perfume for men that's hard to resist. Features top notes of petit grain, lemon, lavender and bergamot, middle notes of juniper berry, orange blossom, coriander and lily of the valley and base notes of musk, sandalwood, amber and rosewood. A true classic! EDT spray. 1.7 fl. oz. No express shipping. No shipping to PO boxes.